I’m currently reading John Ruskin’s The Stones of Venice and last night I came to several passages that bear on the discussion about the importance of building durable, beautiful buildings generally. …we require from buildings, as from men, two kinds of goodness: first, the doing their practical duty well: then that they be graceful and pleasing in doing it; which last is itself another form of duty. This is a simple even obvious set of criteria, and yet so many buildings fail it. I’m thinking of this idea in the context of a building like Provo’s city hall, which after a mere 40 years is completely falling apart. Clearly, it has failed in it’s “practical duty” if it can’t outlive a pair of Toyotas. But entire cities of modern buildings also fail this test. My parents suburban tract home, for example, is sliding off a hill along with the rest of their city. I will almost certainly outlive their house. And how many suburbs of Las Vegas or Phoenix are both poorly built and entirely graceless? …talking, as the duty of monuments or tombs, to record facts and express feelings; or of churches, temples, public edifices, treated as books of history, to tell such history clearly and forcibly. In other words, buildings record the past and “speak” a story. 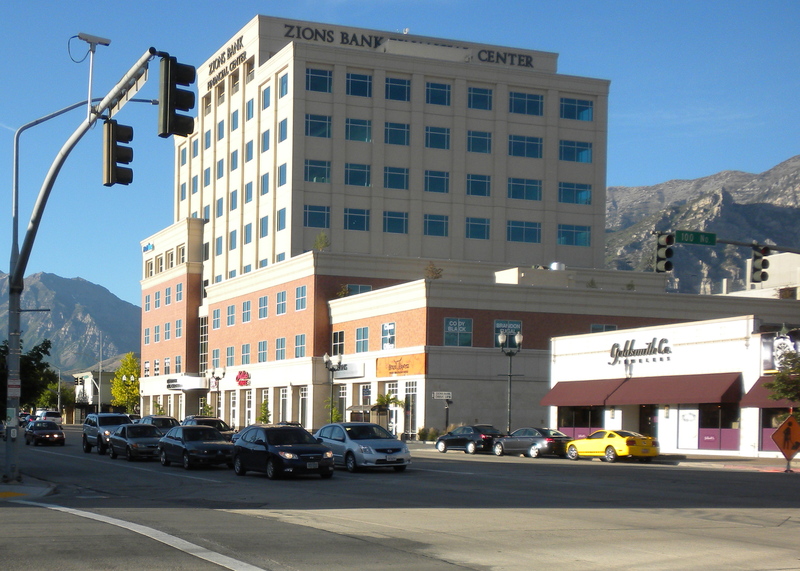 The Zion’s Bank Building in Provo. This seems to be one of the things we have forgotten in many of our modern buildings. What story are we trying to tell with any of the buildings that have been built in Provo in the last generation? When I look at something like the Zion’s Bank Building, I can only assume we’re trying to tell the world that we’re cheap and tasteless. Ruskin’s point is especially important because it offers a reason to build that isn’t rooted in the cold economics of post-recession America; in the end (and as a comment pointed out on yesterday’s post) buildings shouldn’t always have to make money. If they did, or if that was what mattered most, we wouldn’t have inspiring places like St. Peter’s Square or the Berlin Wall art installation. 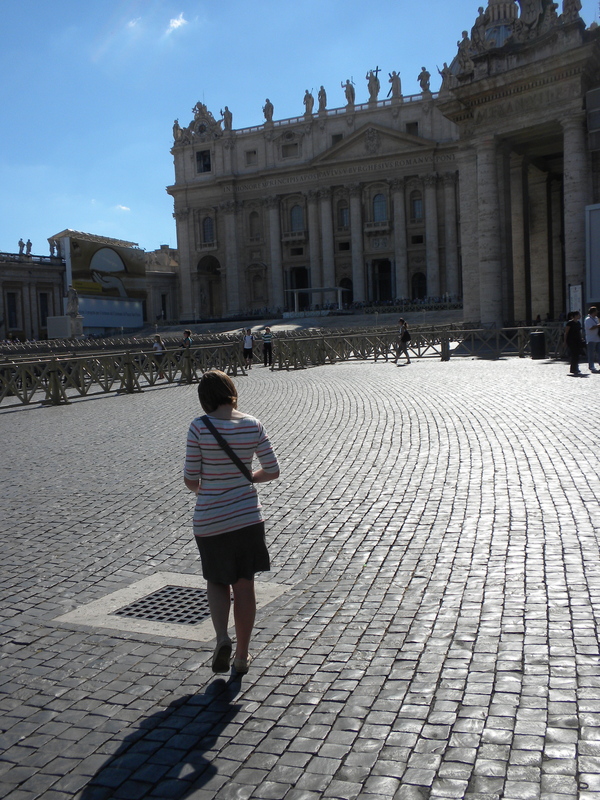 St. Peter’s Square in the Vatican. This is designed to “speak” well. 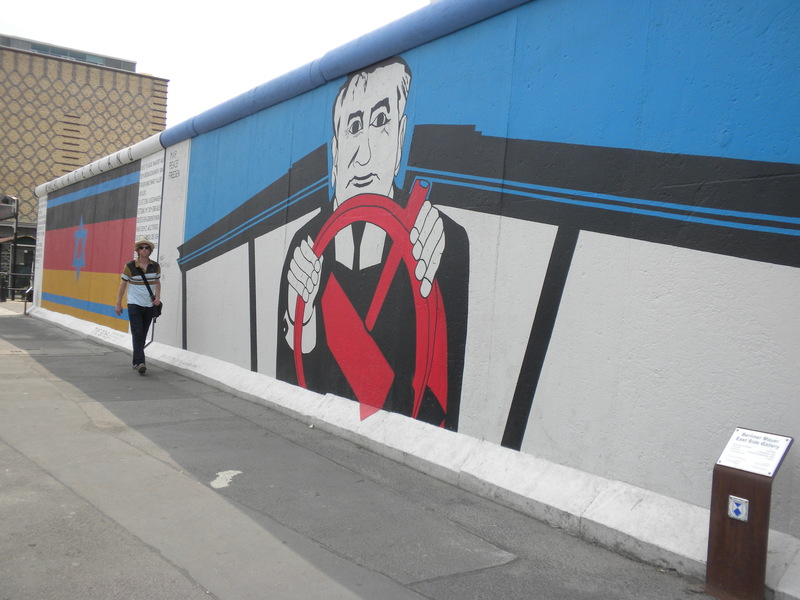 The Berlin Wall isn’t a building, but it is a piece of the built environment that is more concerned with what it “speaks” than with economic concerns. These are spaces that tell stories rather than generate revenue. And that’s a much higher calling. 1. That it act well, and do the things it was intended to do in the best way. 2. That it speak well, and say the things it was intended to say in the best words. 3. That it look well, and please us by its presence, whatever it has to do or say. Ruskin offers these points as evaluation tools; he’s trying to establish a way to judge existing buildings. But for growing cities in Utah and elsewhere, they also offer a kind of very basic checklist or starting point. As we consider which buildings are worth saving and how to begin new ones, these are some of the first issues we should be bringing up. • Discussion of the city center — The 40-year-old city center has size and seismic issues that need to be addressed. 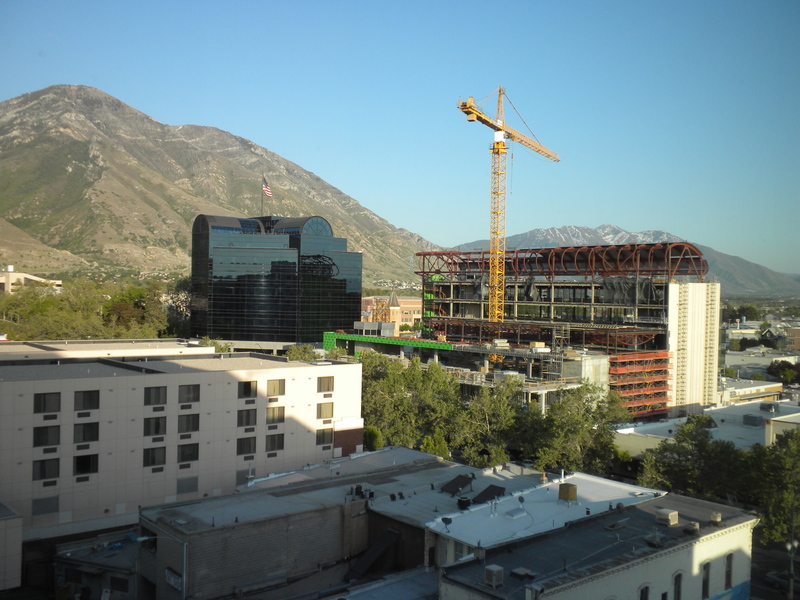 As I argued in this post, Provo could actually use an entirely new city hall. The issue is that there aren’t just seismic problems, there is an array of structural and cosmetic failings that would require considerable investment to fix. At the same time, interest rates and construction costs are cheap so there’s no time like the present to build something better. The current city center is literally falling apart. The current city center is also a fairly… unsatisfying structure, architecturally, to say the least. Set back from the street and hidden by retaining walls, it’s easy to forget what it looks like, or that it even exists. It’s one of the few buildings on center street for which I cannot visualize a profile; like much of the architecture of it’s era, it’s a formless, indistinct structure. In this post, I argue that a great city deserves a great city hall, and Provo certainly doesn’t have anything very impressive right now. Typically, I like to make economic arguments here because most people can come together to agree that efficiency is a good thing. But buildings are also an expression of civic pride; they embody and convey a community’s sense of self and values. And unfortunately, the current city center tells the world that Provo is a dumpy little town. A great city deserves a great city hall, like this one in Pasadena, not the building Provo current has, which looks like a run down dentist’s office. That’s a subjective argument, I know, but the point is that if Provo is ever going to build a new city hall — and it surely will someday — now is the time to do it. 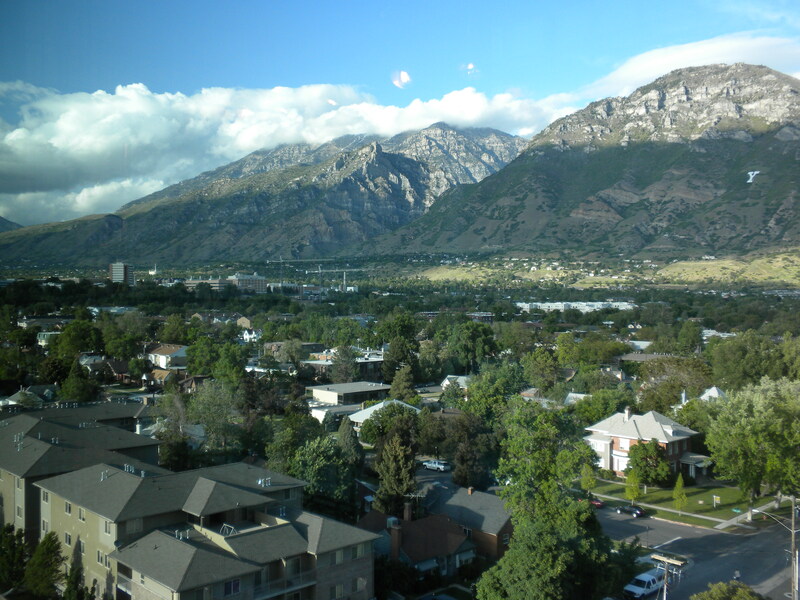 • The 50-plus initiative — The city Strike Force Committee will present its Provo 50-plus initiative, which includes a vision for Provo for the next 50 years. I love the idea of looking 50 years down the road. It’s why I hope the city builds a new city hall, and does many of the other things I argue for here; in the end we need to be thinking about what will make more vibrant for many generations to come. 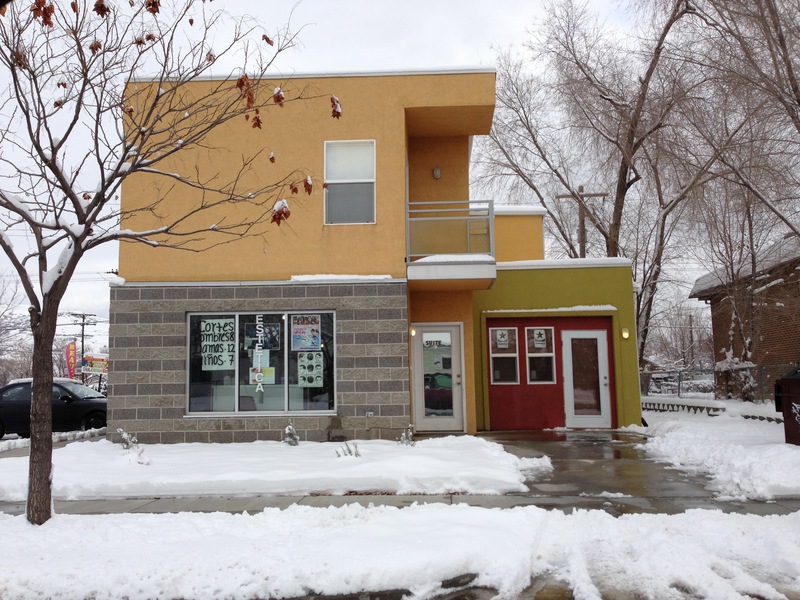 Last week I wrote about the need for aesthetic diversity in a city and gave an example of old and new architecture mixing in a Salt Lake neighborhood. One curious example of this phenomenon that’s playing out right now in Provo is the Central Bank remodel on the corner of University Ave and 100 North. 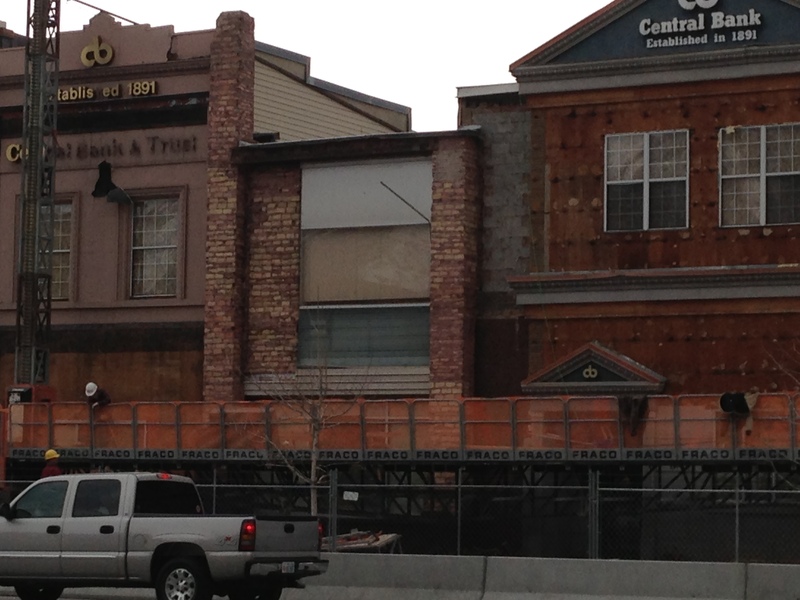 Central Bank is renovating the facades of it’s buildings in Provo. 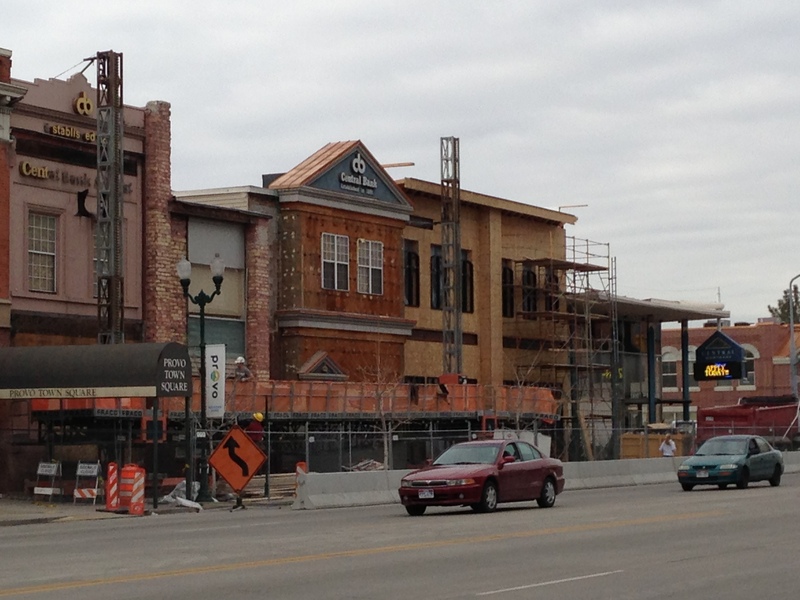 Eventually, this group of buildings will have a historically-influenced look. 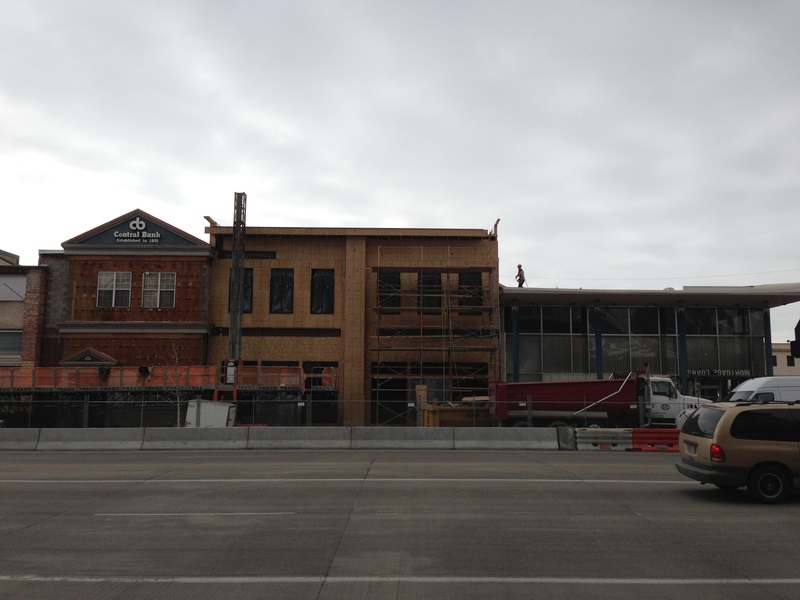 One of the most interesting things about this project is the historic brick that has been uncovered on this building. This post shows the project at an earlier stage, and this post includes a sketch of the final product. The interesting thing about this project is that it’s taking a hodgepodge of older buildings and uniting them with one single facade. My impression is that reaction in the community to this project is positive, though I know a number of people who lament the fact that the modern building on the corner will become something less firmly rooted in any particular architectural style. I’m grateful that Central Bank is investing in the community, though I also wonder at the faux-historical final product. The great thing about downtown Provo, or most genuinely interesting places, is that they’re not knockoffs or replicas of something else, historical or otherwise. That’s why downtown Provo is better than, say, “lifestyle” suburbs like Daybreak that merely imitate an organic city. It’s why visiting Paris or New Orleans is vastly more rewarding, to say the least, than going to Las Vegas or Disneyland, respectively. All of this is to say that perhaps we should more critically consider the wisdom of mixing pseudo-historical buildings into actually-old architecture that embodies our heritage. The Central Bank project — which is not terrible by any means and may be quite nice in the end — offers an occasion to reflect on whether or not we want our city to be a living, evolving record of each generation’s greatest works, or a generic version of the past that could have been built anywhere. 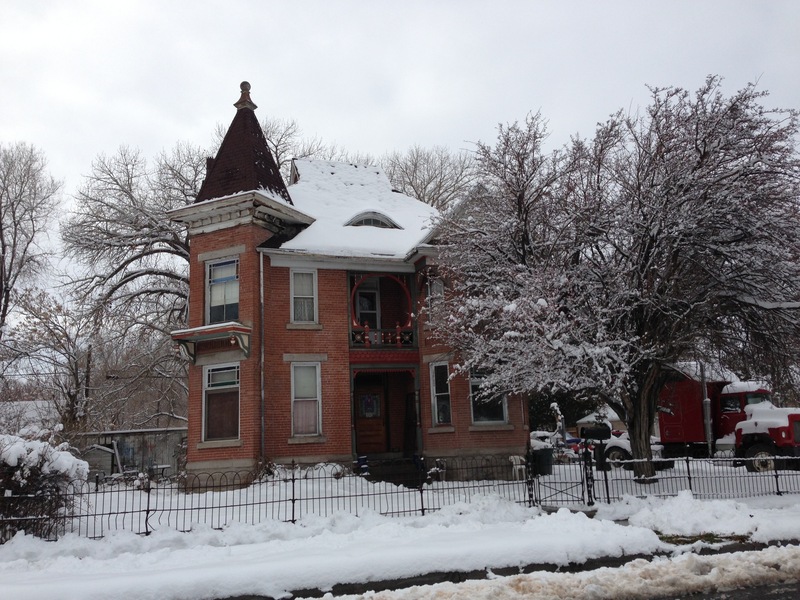 Yesterday I wrote that Provo could use more row houses, but I made a point to say that I’m not advocating aesthetic regulations. My feeling is that while a lack of aesthetic regulations can produce a lot of ugly buildings, it also allows for the creativity and diversity that are essential for a vibrant city. And in the end, a strong market should get rid of undesirable buildings over the long term. This home is located in Salt Lake City. It’s clearly a historic structure and even bears more than a passing resemblance to the Reed Smoot House and the Hines Mansion. This contemporary building, which I think is quite charming in its own way, sits just down the street from the historic home in the first picture. The pictures above show that old and new architecture can coexist. In fact, really great neighborhoods are usually filled with this sort of thing. Provo doesn’t have a lot of cool modern buildings, but even “historic” homes in the city cover a surprisingly wide time span; at least at one point we were trying to build an architecturally diverse city. Another good example of this is Barcelona, which mandates how structures use space but not the exact look of the facades. But if we start rolling out aesthetic rules this can’t happen. Instead, we’ll end up with a bunch of pointlessly nostalgic, lesser buildings. I didn’t always have this opinion of aesthetic regulation. In the not too distant past I wished we had some way of preventing the kind of buildings that proliferated in Provo in the 60s, 70s, and 80s. But as I started to critically consider the idea of forcing buildings to look quaint I began to change my mind. In the end there’s a lot to lose by only allowing a knockoff version of the past. The solution, as I indicated yesterday, is spatial regulation. This is a concept that broadly falls under the umbrella of “form-based code.” The idea is that builders have to work with certain setbacks or heights or sidwalk sizes or whatever, for example, but can work creatively within those confines. Right now in Utah we’re beginning to have a discussion about the damaging effects of cars. But if we really want to improve air quality, our health, and generally live in a better world, we should also consider tackling another big polluter: buildings. An oft-overlooked source of pollution is buildings. A recent Slate article notes that in New York City 75 percent of carbon emissions come from buildings. The article quickly points out that in most other parts of the county buildings produce a smaller percent of the emissions, but the point that buildings create pollution is still an important one for any region. And it’s particularly important in Utah because there’s also very little discussion about the need to build more efficient buildings. […] retrofitting almost every building in the city to keep the heat in during the winter and out during the summer. In a nod to Rudy Giuliani, Bill Bratton, and James Q. Wilson, I’ll call it the “triple-pane windows theory” of greenhouse-gas reduction. The article gets into some and interesting strategies that are specific to New York but that have varying levels of applicability to cities along the Wasatch Front. And again, this is an important topic that warrants more discussion in Utah. Aside from the occasional LEED certified buildings — which aren’t always that environmentally friendly after all — few people are apparently bringing this up. One of the easiest ways to cut energy use is to simply turn the air conditioning off. And unlike something like driving — which is sometimes needed to get to work, school, etc. — cooling the air is purely discretionary for most people. One other thing also deserves mentioning here: air conditioning. Though the Slate article mostly discusses heating, the need for air conditioning is also often accepted as a foregone conclusion in discussions about energy efficiency. buildings we built had no choice but to be green, otherwise people would freeze to death in the winter, die of heat strokes by summer, starve to death, or other really bad things would happen to them. The point is that there is one easy way to drastically cut energy usage and emissions: turn off air conditioning and, over time, build structures that don’t need it. It may seem like a challenge when those hot days come along, but in the end it’s really one of the easiest and most obvious ways to cut our individual energy consumption. Last year, I argued that we’re designing buildings that promote obesity. The problem is that our buildings fail to encourage physical activity — specifically taking the stairs — even when it would be easy to do so. More specifically, the problem is that so many buildings tuck their stairs out of sight while making elevators very prominent. It wastes energy and it eliminates the opportunity for little bursts of activity. When I wrote that post, one of my examples was Provo’s Fourth District Courthouse in downtown. In that building, the elevators are the obvious choice, while the stairs are kind of hard to find. 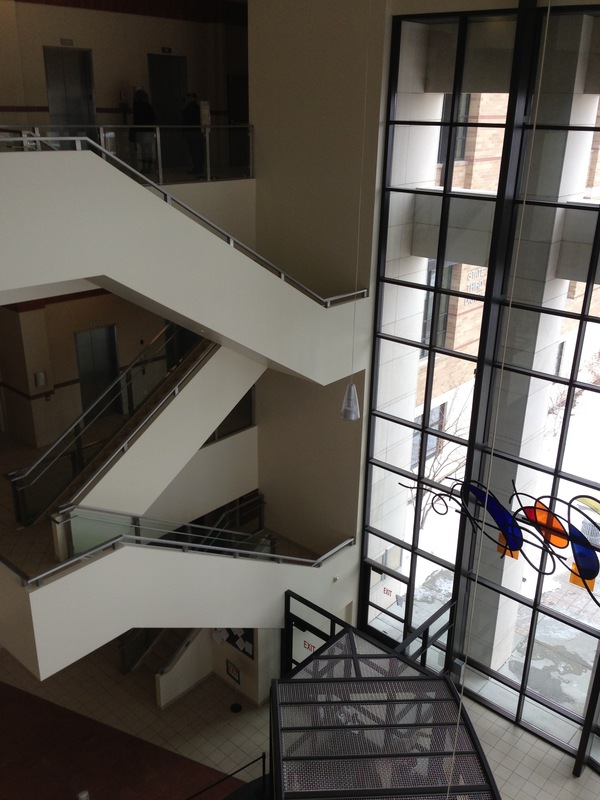 The entryway of the West Jordan courthouse. In this picture, the front door of the building is to the right by the windows. The elevators are behind the stairs. That means visitors see the stairs first and are never in doubt about their location or availability. In other words, the architects have designed the building to prioritize stair usage; the structure literally communicates more effectively to its audience. Not coincidentally, while I was in this building the stairs were used at least as often as the elevators. Stairs and better-designed buildings aren’t going to completely solve the obesity epidemic. But they will help in some small way. And in the end, this is perhaps how we should approach much of our urban design: by slowly fixing the spaces that discourage any kind of physical activity. Continuing with the density theme, I recently read this post from New World Economics. The website is spartan and the post is very long, but it persuasively makes the point that higher density and good design produce better neighborhoods than low density places — which it refers to as “Suburban Hell.” Even if you don’t read the whole post, I’d recommend clicking over to see a whole bunch of pictures of what good density actually looks like. The high population density itself does a lot to solve the problem of automobiles, because, at that level, a lot of things are now in walking distance. Although a family will still want a car to interact with the rest of Suburban Hell America, nevertheless, within their neighborhood, it should be possible to walk to the school, bank, grocery, hardware store, restaurant, bar, dentist, friend’s house, and so forth, which cuts down the amount of trips necessary by car (and consequently automobile traffic within the neighborhood) considerably. As we noted earlier, when there are 30,000+ people within an easy walk, a business also doesn’t need to have twenty or a hundred parking spaces to be viable. In other words, the more people in a given space the more vibrant that space becomes. And again, click over to the post to see what “adding density” actually looks like.